Prominent & Leading Manufacturer from Nagpur, we offer nes forte injection, zymentin, atropic injection, calcipic-d3 injection, norpic-t2 tab and nes fort tablets. Nimesulide is a nonsteroidal anti-inflammatory drug (NSAID) with pain medication and fever reducing properties. Its approved indications are the treatment of acute pain, the symptomatic treatment of osteoarthritis, and primary dysmenorrhoea in adolescents and adults above 12 years old. 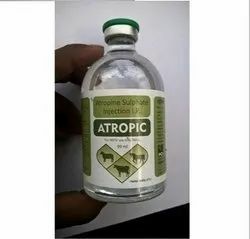 Atropine Injection is given before anaesthesia to decrease mucus secretions, such as saliva. During anaesthesia and surgery, atropine is used to help keep the heart beat normal. Atropine sulfate is also used to block or reverse the adverse effects caused by some medicines and certain type of pesticides. Calcium chloride injection is a mineral indicated in the immediate treatment of hypocalcemic tetany (abnormally low levels of calcium in the body that cause muscle spasm). 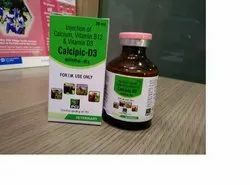 Calcium chloride injection is also used in cardiac resuscitation, and to treat certain insect bites or stings. Norfloxacin is a class of and is used in the treatment of systemic infections. 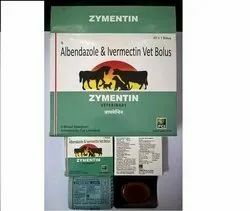 ...Tinidazole Bolus is an anti-parasitic drug used against protozoan infections.Veterinary Norfloxacin Tinidazole Bolus is useful in amoebiasis, trichomoniasis, giardiasis & in anaerobic infection. Nimesulide was as effective as paracetamol in reducing fever, local pain, and general discomfort. Nimesulide therefore appears to be at least as effective asparacetamol in terms of antipyretic and anti-inflammatory activity in children with inflammation of the upper respiratory tract and fever. Uses: Nimesulide is used in the treatment of osteoarthritis, fever, rheumatoid arthritis, menstrual pain, post operative pain and muscular pain. ... Uses: Paracetamol is used in fever, headache, pain during menstruation, arthralgia, myalgia, dental pain and post operative pain. 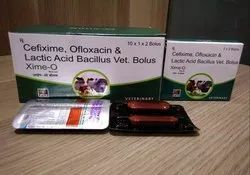 Cefixime 200 mg + Ofloxacin 200 mg +Lactic acid bacillus. Cefixime 200 mg is an antibiotic medicine used to treat many infections such as urinary infections, lung and ear infections caused by bacteria. It is known as cephalosporin drug and works by stopping the growth of bacteria.